I was born in California, then lived in LA from age 32 to 39. It still feels more like home than anywhere else on earth, for me. But I’ve seen how it confuses or annoys people at first. So when someone says they’re moving there, I have to give this explanation and advice. It’s not a traditional city. Not long ago, it was just a bunch of small towns — Venice, Pasadena, Burbank, Encino, Beverly Hills — but then for tax reasons they drew a circle around about 30 small towns and decided to call it Los Angeles. So first you have to understand it’s not a typical city. It’s a bunch of adjacent towns, each quite different in character. When someone says they hate LA, you have to ask, “Which neighborhood?” Because Santa Monica is not like Silverlake is not like Van Nuys is not like Hollywood, but they’re all inside that circle called LA. It’s completely de-centralized. Even “downtown” is just another neighborhood. Unlike most cities, it’s not the center of everything. 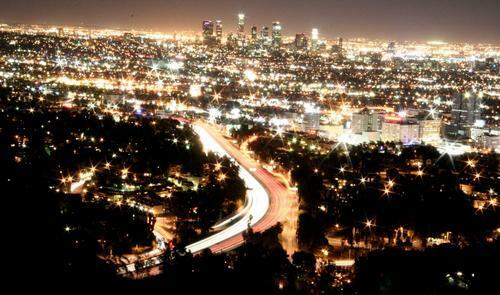 Americans are already quite individualist, but Los Angeles is the most individualist part of America. Because so many people are employed by the entertainment and tech industries, many are self-employed freelancers. They’re very focused on themselves. People talk about themselves a lot because they feel they have to, for survival, for self-promotion. Just as you can’t fault anyone in the world for doing something for survival, try not to fault them for being so self-promotional. Learn to patiently listen with compassion for their situation. Go exploring in your car. If you go to a European city, you know you need to go on a random walk, strolling down streets you’ve never seen, right? Well, in Los Angeles, because it’s so spread out, you need to do this in your car. The best parts of LA are on little side-streets you’d never run across. Avoid the highways and take the backroads, for this reason. Go on random drives mid-day (10am-2pm), or late-nights, or weekend mornings. Find a place on the map you haven’t been, and go exploring. Stop and get out in different places that seem interesting. Use GPS so you can do this fearlessly. Find Little Tokyo, Topanga Canyon, Eagle Rock, and Tujunga Ave in Studio City. Ask around for more neighborhood recommendations like this. Go hiking in Will Rogers State Park in Pacfic Palisades. Get to the beach in Malibu. Go east to Twentynine Palms. It’s all so close. Every culture values different things. In some places, it’s your bloodline. In others, your university. In others, it’s where you live. In LA, it’s who you know. Friendships are pragmatic and often short. Don’t fault them for talking about who they know, the same way you wouldn’t fault a stranger from India asking about your family. It’s the local custom. Introducing people to each other, people who could potentially work together, is the most valuable thing you can do, as it raises your value and theirs. LA people need to have powerful well-connected friends, to survive and thrive. California is the most optimistic place on earth. The side-effects of this can confuse outsiders. When you say, “Will you come to my event?” or “Want to help with this project?” — they will almost always say yes, full of enthusiasm, and actually 100% sincere, fully intending to be there, to help, whatever. They honestly and optimistically think that they will be there and do it. They have the best of intentions. It’s the local culture to be open and encouraging. But when it actually comes to that time, they’ve optimistically said “yes!” to a dozen other things too. Or perhaps they’re just nestled in the comfort of their California home. Or a new freelance project came up since they day they said yes, and their life is different now. So… well… they reluctantly “flake” — and don’t follow through. Don’t get bitter and write them off as fake, or backstabbers. Just understand that it’s a side-effect of sincere optimism, and adjust your expectations accordingly. As with any place, if you really want to experience it, don’t just sneer and condemn it. Dive in and live it like a local. Most people are from somewhere else anyway, so you’re just as local as they are, now. Be open and say yes to almost everything. Aim to meet as many people as possible, and get something out of your short-lived friendships. Introduce them to each other. Have lots of lunches, and enjoy the conversations. Drive around the different neighborhoods. Go to the beach and hike in the hills. It may feel fake, but faking it is fine. (Kurt Vonnegut wrote, “You are whatever you pretend to be.”) If you throw yourself into it whole-heartedly for a while, you’ll learn something useful from it, and have it as a great life experience, as you go back to whatever culture feels a better fit for the real you.